This Conklin 1905 S3 is a crescent-filler in gold-filled “Art Nouveau Filigree” overlay on Black Hard Rubber. 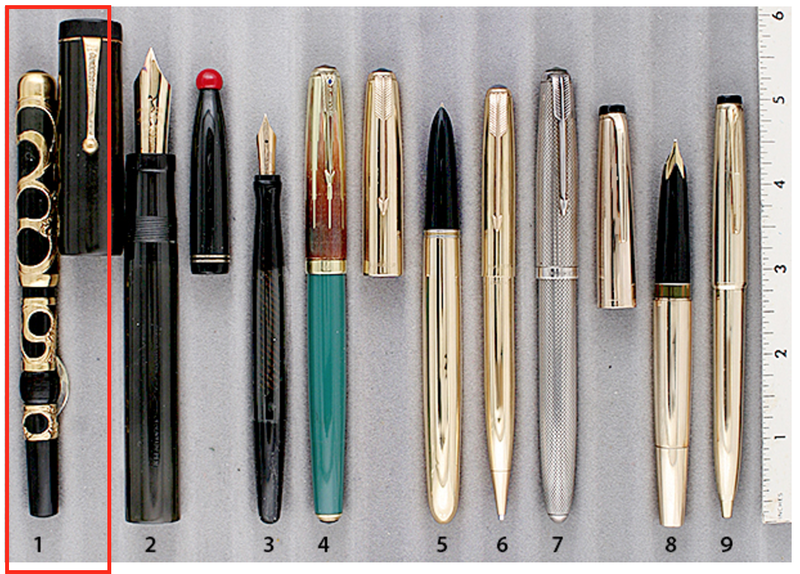 It has a slip cap and a medium/fine, extra-flexible nib. Cap indicia lightly engraved in script, “KVP.” Correct crescent bar with no engraving. A very early and rare model. Near mint in original box. Item #1 in Catalog #81.